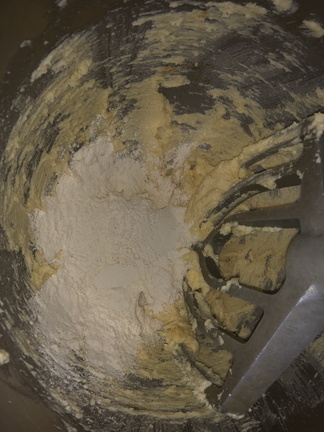 Cream the Butter and sugar, scraping down sides as necessary. 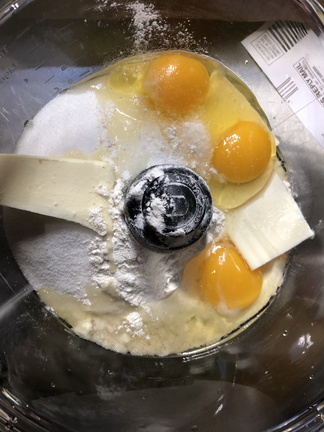 Add egg to running mixer. Scrape down sides as needed. Beat until smooth. Add vanilla. Sift the flour and salt together. 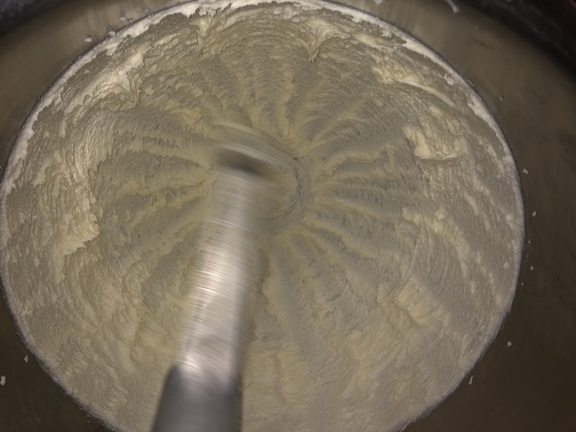 Add to creamed butter a portion at a time. 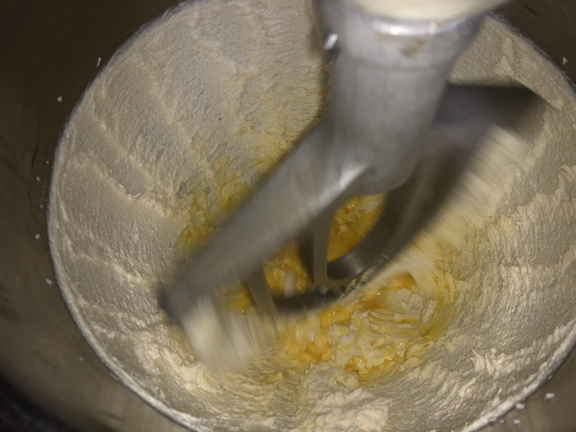 Mix until a smooth ball forms. Flatten dough to about 1 inch thick. Wrap in parchment paper and chill for about 1 hour. Chilling makes the dough easier to work with. 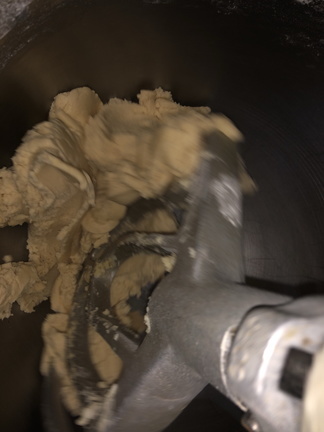 Roll out dough, between 2 pieces of parchment to about 1/4 inch thick. Cut into 3 inch circles. Fill with about 2 tsp. of filling. 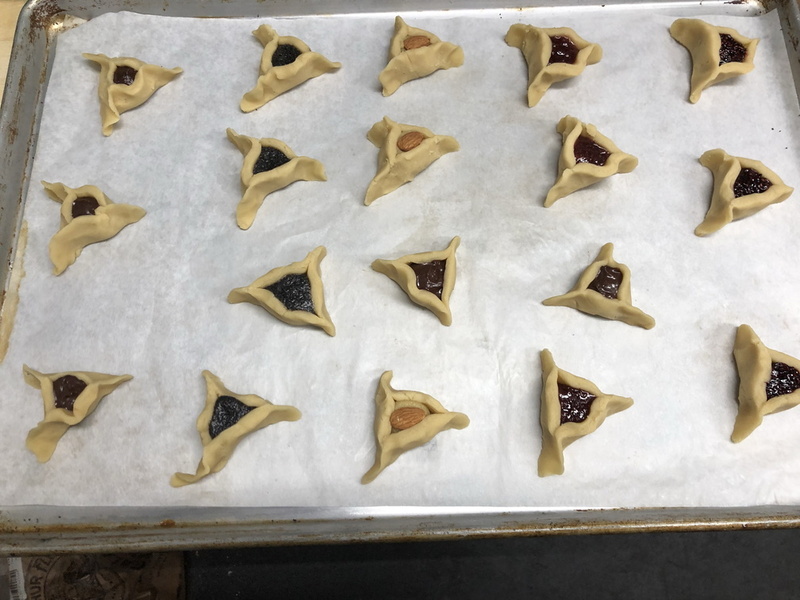 Crimp 3 corners to make traditional hamantaschen shape (like a triangle). Place on parchment lined cookie sheet spacing about 2 inches apart to allow for spread. Chill shaped, filled cookie in refrigerator for about an hour or until well chilled. This is to limit the "melt" of the cookie part when put into the oven. Preheat oven to 375. 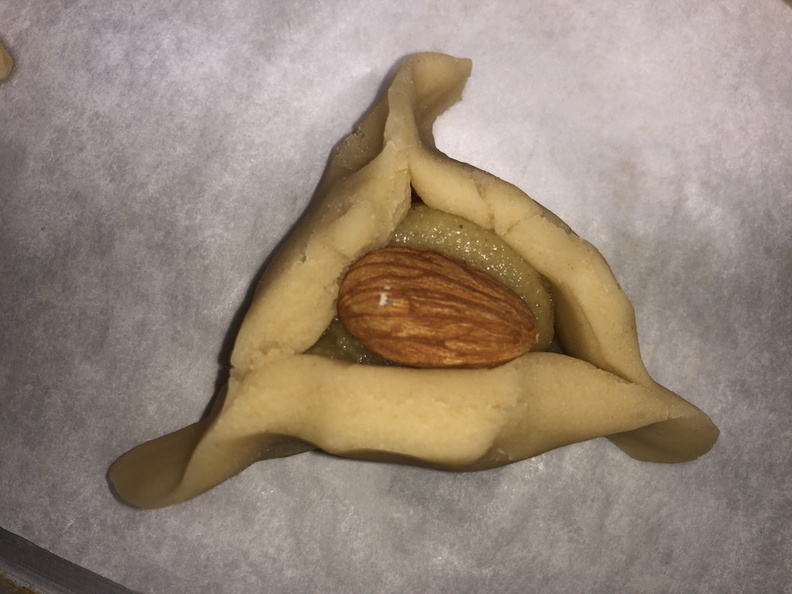 Temperature is a little higher to set the crust before the cookie melts and loses shape. Verify that your corner crimps are good and bake until golden. Times will vary with ovens and temperature. Check after 10 minutes. Bake until golden on bottom and corners. Times will vary based on how cold the dough is and oven temperature. Start checking after 10 minutes.